Educational facilities are challenging environments to keep clean, requiring a flexible and knowledgeable approach. Alphaclean offers some tips to ensure floor cleaning results come out top of the class. If you were to compile a list of the busiest facilities, not just in Australia but right across the world, then schools, colleges and universities would surely be in the top three. Conventional term times are obviously busy, but these buildings are now also increasingly used out of conventional hours and dates. Before and after-school clubs, fundraising events, sporting activities, evening classes – the list goes on. This means that cleaning services need to be constant but flexible, providing a top class, clean and hygienic environment, which doesn’t inhibit the use or enjoyment of the buildings or facilities. Flooring in schools needs to stand up to some tough treatment. Footfall is extremely heavy – from pupils, students, staff and other visitors – plus there are numerous deliveries to contend with, and the movement of items such as chairs, desks and sporting equipment. A huge amount of dirt and debris is walked into educational establishments every day, including fallen leaves, mud, oil and much more – and this can add to the demands made of floor cleaning regimes. The variety of flooring materials used in these locations will also have an influence on the type of cleaning equipment that is needed to clean each surface thoroughly and hygienically. When designing new buildings, or planning extensions or renovations at existing sites, close consideration needs to be given to the methods of cleaning that are needed, the right equipment to do the job, and any training that cleaning operatives will require. With such a diverse range of needs, flooring can vary greatly from place to place within any school or college. Carpeting is still the favourite material for ‘back office’ areas such as staff rooms or administration departments; while corridors, classrooms, canteens, dining halls, washrooms and other communal areas will need different sorts of flooring, with vinyl or synthetic materials now proving popular. A trend for safety flooring is something that has increased in recent years, fuelled by an ever-increasing emphasis on health and safety. Educational establishments have a duty of care – not only to their pupils and students, but also to staff and visitors – so this type of surface material is becoming more prevalent, especially for gyms, sports halls, changing rooms and shower areas. Infection prevention and cross contamination is another crucial issue. Improving attendance levels is something that is important to educational establishments, as this helps to ensure there are no gaps in the learning process, and course work is completed on time. A good cleaning regime can help to reduce absenteeism through illness – for staff as well as pupils and students – by incorporating infection control methods within the routine. This not only helps to improve learning outcomes for young people, it also saves money for schools as supply teachers should not be needed so frequently to cover absences. The safety of pupils, students, staff and visitors is also of paramount importance, so minimising the risk of slips, trips and falls is crucial. Installing flooring which has special safety features in respect of its texture or coating will help, but regular and correct cleaning procedures will also reduce the opportunity for accidents to happen. This issue can be addressed by using battery-powered machines, which are increasing in popularity, not only because of their safety aspects, but also their ease of transportation and maintenance. Machines must also be able to clean floors and leave them dry enough to walk on in the quickest time possible, as wet floors present another significant slip hazard. Models that are quiet in operation are also more suited to educational environments as they provide the least disruption during lessons, and especially at exam times. The vast majority of schools and colleges now aspire to limit the effects their activities have on the wider environment, and that means finding more sustainable ways to procure and provide services. This links in perfectly with ‘Schools Clean Up Day’, an annual event in Australia that raises awareness of environmental issues, encouraging pupils and students to do their bit to keep campuses clean and tidy, and to recycle as much as they can – not just on one day, but all year round. 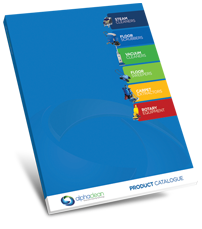 Innovative technology is helping to develop floor cleaning machines that deliver these aims. For example, environmentally responsible vacuum cleaners must meet certain requirements regarding soil removal and dust containment. This is usually accomplished via filtration systems that trap dust and other contaminants, together with more advanced HEPA filtration systems that help to improve indoor air quality. Less dust reduces cleaning needs, helping to minimise maintenance costs, and reducing airborne allergens also helps to improve the health of pupils, staff and other building users. Cylindrical brush technology is another way in which floor cleaning machines are evolving. Reducing the amount of water and chemicals needed to clean floors is a key ambition, what our US colleagues call ‘low moisture floor care’. Independent tests, conducted in America, have found that cylindrical brush technology can use as much as 30% less water than conventional rotary machines. This technology also has further possible sustainable benefits. It is claimed that cylindrical brushes last as long as 100 rotary machine pads, minimising waste and cutting down on consumables. When it comes to cleaning in educational establishments, safety and sustainability are just as important as delivering the highest hygiene standards. By choosing a floor care specialist that has a proven track record in providing successful services in these locations, schools, colleges and universities can rest assured they have the best ‘teacher’ when it comes to floor cleaning.